home > Calendar & News > Latest News > Uncategorised > WGS take second place to Bedford School who were crowned Cup Champions of the U18s Floodlit VIIs. WGS take second place to Bedford School who were crowned Cup Champions of the U18s Floodlit VIIs. 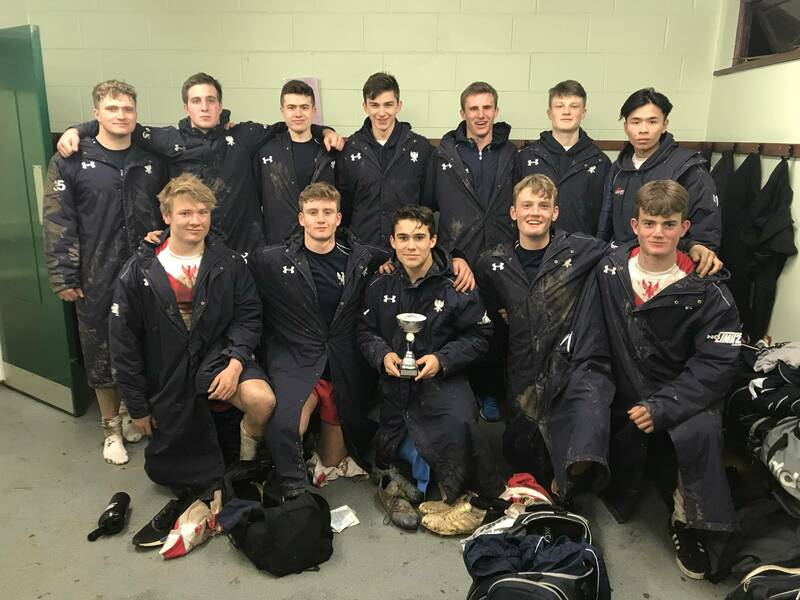 Bedford School were crowned Cup Champions of the inaugural Wisbech Grammar School U18s Floodlit VIIs, with the hosts placing as runners-up in a hotly contested tournament which provided a fantastic final warm-up before the Rosslyn Park National Schools VIIs next week. The Tournament opened with the hosts, Wisbech Grammar facing Uppingham, the U16s Floodlit Cup Winners the week previously at Wisbech Grammar School. A confident display from the hosts saw them run out 24-0 winners, scoring 4 tries in the process. Next up was Bedford vs Culford, who returned from Sunday’s tournament; in a hard fought game Bedford came out 7-0 winners. The third game on saw the 5th side take to the field, Berkhamsted, who faced Uppingham in their 2nd game, Berkhamsted winning 21-0. The hosts then faced Culford in an almost identical re-match to Sunday where they won 34-5. At the half way point Bedford and Berkhamsted faced each other in a high paced and physical encounter – a very tight game was won 12-7 by Bedford, setting up two big games for the hosts in the latter stages of the competition. First up they faced Bedford, and despite a good start two quick tries put them 14-0 down at half time. A try each way was followed by a final interception score for Bedford who ran out 28-7 winners. Berkhamsted then beat Culford 19-7 before Bedford beat Uppingham 28-5 to secure the cup – leaving Wisbech Grammar School and Berkhamsted to play for the runner’s up spot. With seven tries shared back and forth it was the hosts who eventually won a very tight game 28-19.